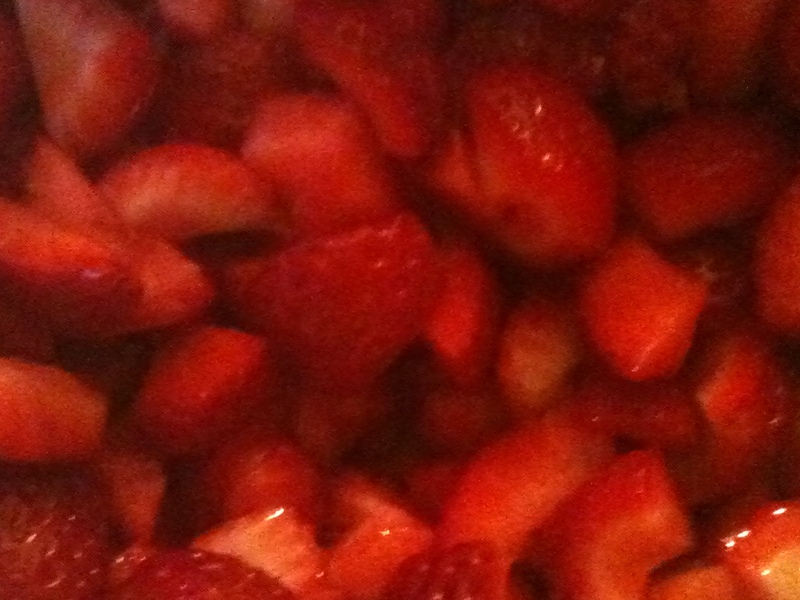 Strawberries are in season and the bright red berries have been greeting me at every grocery store the last few weeks. Sometimes I’ll go through a container right away, but most of the time I’d rather have just a couple as a quick snack, or one or two sliced over my breakfast oatmeal. 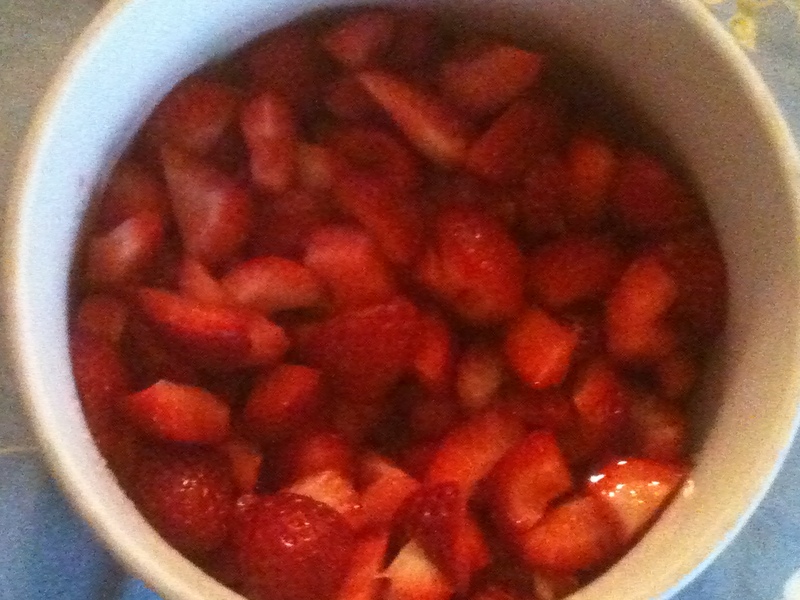 Strawberries tend to spoil quickly. Here are some tips to help them last 3-4 days. 1. If the weather is generally cool; below 70 degrees, don’t refrigerate. Just let them sit in the container they came in on your counter, but keep them out of sunlight. Slice a few over a fresh spinach salad. Use a balsamic vinaigrette dressing. Complementary ingredients: sliced boiled eggs, walnuts, sliced red onion, sliced mushrooms, alfalfa sprouts, dried cranberries or raisins, feta, Gorgonzola or blue cheese crumbles. 2. If the weather is warm; over 70 degrees for most of the day, then I recommend slicing and adding a little sugar. The sugar helps preserve the berries. You don’t need a lot –only about a tablespoon or two for a pint of berries. It depends on how sweet you like them. Be sure to use a glass or ceramic bowl (metal may alter the berries’ flavor). Mix well, then cover the dish and store in the fridge. Mix into plain yogurt topped with granola. Spoon over hot or cold cereal. Top a scoop of frozen yogurt or vanilla ice cream. 3. Freezing is also an option. Again, slice and sugar the berries. Use a freezer-friendly container, but not metal. Cover and freeze. When defrosted, the berries may be a little softer, but will have lots of flavor. Blend into smoothies, yogurt or into home-made ice cream mix.